If you are planning to dine here on a Saturday afternoon, it’s best to make advanced reservations else you won’t be able to secure a table if you just walk-in, unless perhaps if you decide to have a late lunch and dine after 2pm. I made this mistake the first time around when I made a spontaneous decision one of the Saturday mornings to go there for lunch and got turned away at the door. 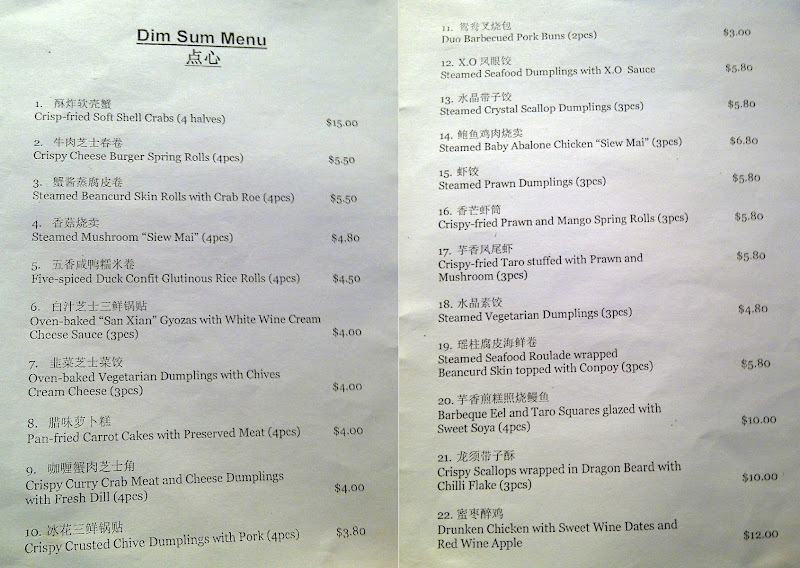 Lesson learnt….so I finally made a reservation and went there for dim sum. Braised Beancurd Skin Rolls in Rich Fish Soup (魚湯鮮竹卷) – Mmm…the colour of the soup was very milky and it tasted like it had been boiled for a long time as the taste of the fish stock was strong and very flavourful. The soup was a good complement to the beancurd skin rolls. 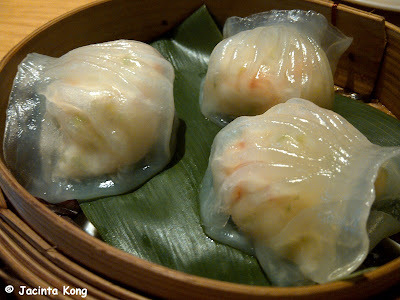 Steamed Shrimp Dumplings (筍尖鮮蝦餃) – The taste was good but I would have preferred if it was a bit “juicier” (i.e. contained more stock) inside. Steamed Shrimp and Pork Dumplings with Fish Roe (魚子滑燒賣) – This siew mai was quite nice although it wasn’t the best that I’ve eaten (I’ve got high expectations for this particular dim sum dish). 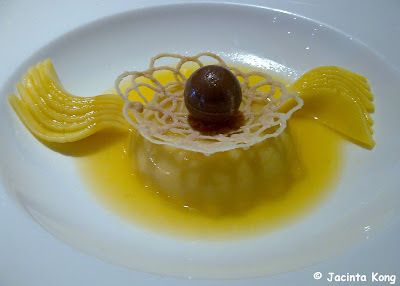 The larger-than-usual fish roe made the dish look very appetising. 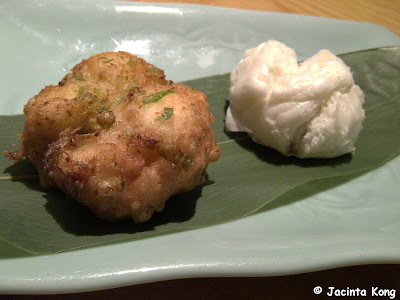 Deep-fried Yam Dumplings (蜂巢芋茸角) – Crispy on the outside and soft and mushy on the inside. It was good!! Deep-fried Shrimp Dumplings in Superior Soup (上湯煎粉粿) – Thought this dish sounded unusual so I ordered it! True to my expectations it was different from the normal dim sum as you are supposed to dip the deep-fried shrimp dumplings into the soup before you eat it. Yumm…the superior soup was really tasty and though there was leftover soup after we finished dipping the dumplings in it, we drank the whole bowl of soup as we didn’t want it to go to waste! Steamed Egg Yolk Custard Buns (流沙奶皇包) – I had initially wanted to divide one of the buns into two halves to take a picture of what was inside but when I started to tear it apart with my hands, the liquid inside started oozing out and onto my hand…..oh my…. 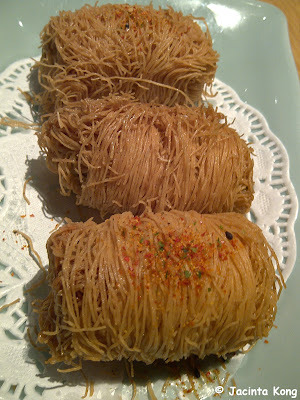 The buns were really yummy and were flowing with a fragrant mixture of salted egg yolk custard inside. They were neither too sweet nor too salty so the combination was perfect! Steamed Flour Rolls with Barbecued Honey Pork, Scallops and Prawns (三色腸粉) – When I ordered this, I thought that the description sounded interesting and that the flour rolls (cheong fun) would contain all the mentioned ingredients in one roll but when it was served to us, there were actually three separate rolls, each containing barbecued honey pork (char siew), scallops and prawns respectively. Even though it wasn’t what I had initially expected it to be, it was good! Steamed Chicken, Fish Maw, Mushrooms and Crabsticks wrapped in Beancurd Skin (四寶滑鶏扎) – This was delicious but we had to wait an extremely long time before it was served to us (not sure if they forgot our order). I think it would have been nicer if it contained real crabmeat rather than the crabsticks which are made from flour (i.e. mock crab meat). 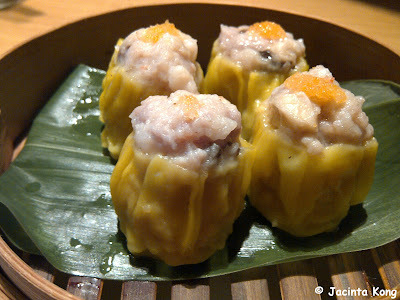 Steamed Mushroom Dumplings (三菇石榴粿) – These dumplings were filled with shiitake mushrooms and were very tasty. My hubby said this reminded him of soon kueh! Steamed Glutinous Rice wrapped in Lotus Leaf (荷香珍珠鶏) – I’m not a big fan of glutinous rice but this was quite yummy! Deep-fried Sesame Dumplings Stuffed with Mashed Lotus Seeds (香麻煎堆仔) – The fried dumplings were fragrant and filled with a smooth lotus paste. Deep-fried Hundred Taste Beancurd (百味豆腐) – It was nice but I felt that the taste of the bonito flakes overpowered the dish and I couldn’t even taste the mayo or the chilli sauce. Baked Bo Lo Bun with Barbecued Pork (菠蘿叉燒包) – Gosh…we got the last 2 bo lo buns left in the kitchen! There were supposed to be 3 buns in one serving so the price of this dish was reduced accordingly in our final bill. The char siew filling was nice and the top of the bun had a crunchy crust. 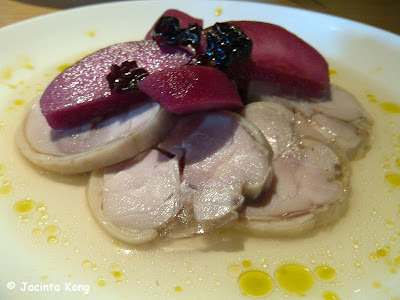 Fish Maw and Conpoy Dumpling in Shark’s Bone Cartilage (花膠瑶柱翅骨湯餃) – This was one of the last dishes to arrive. The waitress told us that this soup requires an extremely long time to prepare. When it finally arrived, it was worth the wait!! Very thick, milky soup which was very flavourful and you can taste the richness of all the ingredients that went into it. Beef Brisket Soup with Turnip (清湯蘿蔔牛根腩) – This soup was the last dish to arrive. It was peppery and reminded me of bak kut teh. 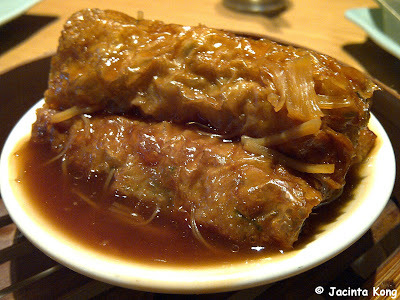 Both the beef slices and tendon were quite tender. We had also placed orders for the Barbecued Pork Puff Pastry (香麻叉燒酥) and the Shanghai Meat Dumplings (上海小龍包) but after they had keyed in our order, we were told that both were sold out! 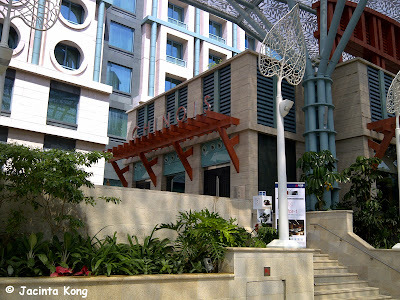 Verdict: This place is definitely one of the better places for dim sum in Singapore. The Hollywood China Bistro is one of the only two Table Service Restaurants located within Universal Studios Singapore (USS) and serves both traditional Cantonese dishes and “east meets west” cuisine. My verdict is that the dim sum was slightly above average. It wasn’t the best dim sum which I’ve tried in Singapore but is definitely one of the better ones which I’ve eaten thus far, although I do prefer the dim sum at Chinois which is located outside the park but still within Resorts World Sentosa. 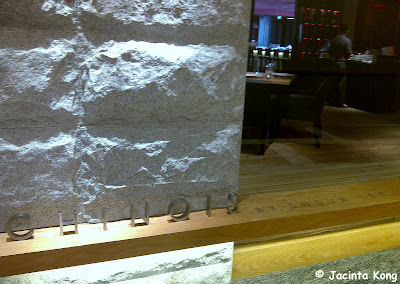 Chinois is International Celebrity Chef Susur Lee’s first restaurant outside North America. 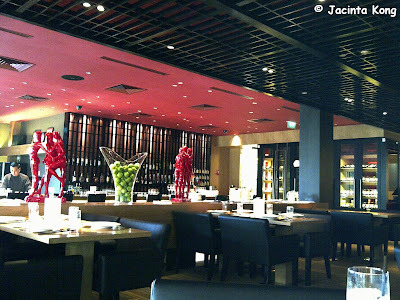 It’s located within Hotel Michael at Resorts World Sentosa. This is the other entrance located inside Hotel Michael. 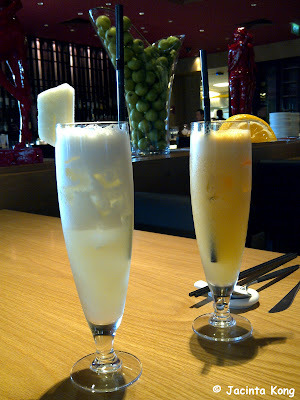 Freshly squeezed Honeydew and Orange juices. This is the à la carte menu. 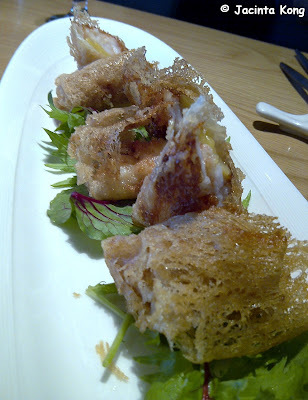 Crispy-fried Prawn and Mango Spring Rolls (香芒虾筒) – The best that I’ve tasted to-date!!! Duo Barbecued Pork Buns (鸳鸯叉烧包) – Interesting…. but I prefer the fried one. Crispy Scallops wrapped in Dragon Beard with Chilli Flakes (龙须带子酥) – It’s a messy affair trying to eat this cos the “dragon beard” keeps dropping all over the place! Haha…. Oven-baked “San Xian” Gyozas with White Wine Cream Cheese Sauce (白汁芝士三鲜锅贴) – My husband loved this but I didn’t cos it was full of chives. 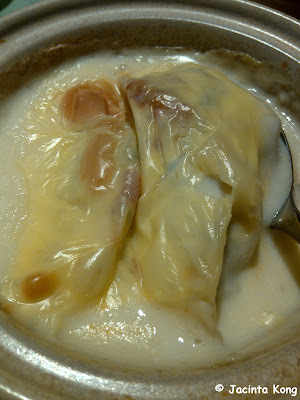 Steamed Seafood Roulade wrapped Beancurd Skin topped with Conpoy (瑶柱腐皮海鲜卷) – YUMM!! Tastes just as good as it looks!! The combination of the alcoholic chocolate truffle and the wafer goes very well with the pudding. 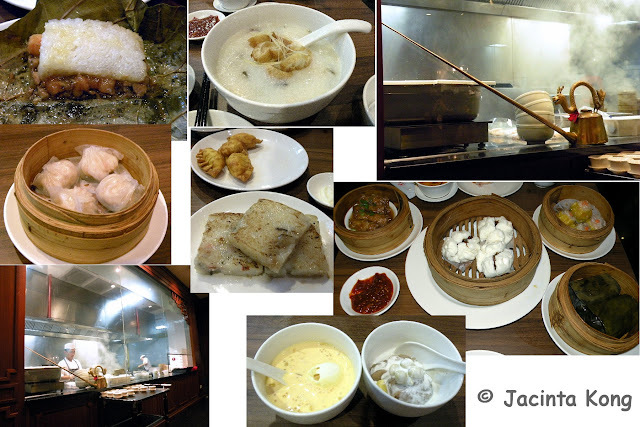 Verdict: Will definitely return to this restaurant as the dim sum is excellent!! Children under 10 must be attended to by an adult at all times.